F1 stages it's first French Grand Prix in 10 years and the first at Circuit Paul Ricard since 1990. Ralph Ellis has been looking for clues on what to expect. "This week it is expected that Mercedes will have engineering developments of their own to give Hamilton a bit more oomph, and at [2.78] to be the race winner he has to be good value to back this time." I've been reading a book called World In Motion - the inside story of Italia '90. I can recommend it, incidentally, and not just because it's brilliant author Simon Hart is a friend. It's superbly researched and wonderful nostalgia, even if at my age it all seems like only a heartbeat ago. But what it has reminded me is just how much has changed in the world in nearly 30 years, and that's a thought that returns as the Formula One circus arrives in France this weekend. It was July 8, 1990 - the same day West Germany were beating Argentina 1-0 to win that trophy - the last time a French Grand Prix was held at Circuit Paul Ricard, the track between Toulouse and Marseille which is the venue for this race. Nigel Mansell took pole and set the fastest lap, but then his engine failed and Alain Prost ended up overtaking Ivan Capelli from the Leyton House team to take the chequered flag. In short, every bit as irrelevant to this weekend as Gazza's tears and David Platt's volley against Belgium to whether Gareth Southgate's lot beat Panama on Sunday. In an age where all the F1 teams stay up all night studying their historical data about track performance, this weekend they are running blind. And if that makes life tough for the technical boffins sorting out their strategy, it doesn't make it all that easy for us either. Two weeks after successfully backing Sebastian Vettel to win in Montreal we're searching for clues again. Fortunately there are some, not least that the track at Le Castellet has been completely resurfaced ready for it's return to the calendar. The tarmac is rated by the experts as very similar to that laid at Barcelona before the Spanish Grand Prix back in May, where Lewis Hamilton not only took pole but led from start to finish on the Sunday with a Mercedes 1-2. Pirelli are going for the same ultrasoft compound used in that race, and while it will be hotter in the South of France now compared to Barcelona in May the difference in tyre degradation won't be that marked. The layout - with two long straights where speeds touch more than 210mph - also looks similar to Barcelona where straight line power will be rewarded making it another bonus for the Mercedes cars and a particular challenge to Red Bull. Vettel of course will be confident having won in Canada thanks to his upgraded engine while Hamilton was working on a power unit some seven races old. But this week it is expected that Mercedes will have engineering developments of their own to give Hamilton a bit more oomph, and at [2.78] to be the race winner he has to be good value to back this time. 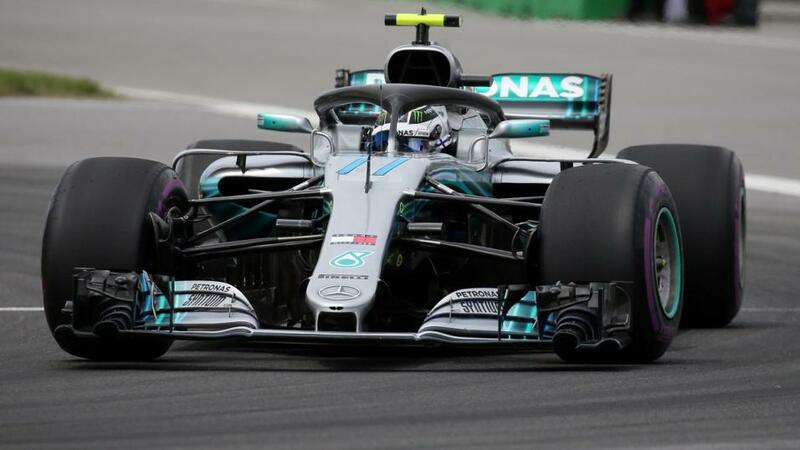 I'd also fancy a bet on his team mate Valtteri Bottas, [8.0] to win the race in the early market, to achieve a podium finish once that market is up. The Finn drove well in Montreal, and has actually been pretty consistent all season since the crash which wrecked his opening weekend in Melbourne, with just 0.023 seconds average between him and Hamilton in qualifying times so far. Ferrari have closed the gap in the Constructors title to just 17 points, so both Bottas and Hamilton need to take their chances this weekend. I suppose you could say they need to get their own Worlds in Motion.